MADE IN HOLLAND; Orga Grow Holland is a world leading Dutch company with decades of experience in the Dutch glass and horticulture industry. We are proud of our high quality products to customers around the world, combined with the most customer friendly service. With trial and error, research and experience, makes nowadays, that our products are worldwide unique. Orga Grow is composed on the most simple way that warranty gives for an uncomplicated optimal growth and bloom. GROW LIKE A PRO! INDOOR & OUTDOOR; Growing cannabis is not that difficult, cannabis is not called weed without good reason. It can grow indoors using bright lights, and of course outside. Cannabis can grow in soil or artificial grow mediums such coco fibre, clay pebbles and hydroponic systems. 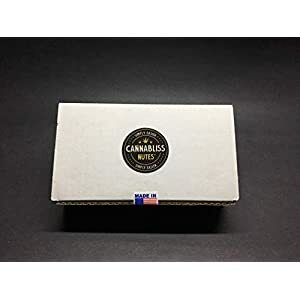 So long as you have the correct basic grow conditions and seeds of a stable, potent strain then you are guaranteed to get a never ending supply of great quality stash to meet your recreational or medical needs. 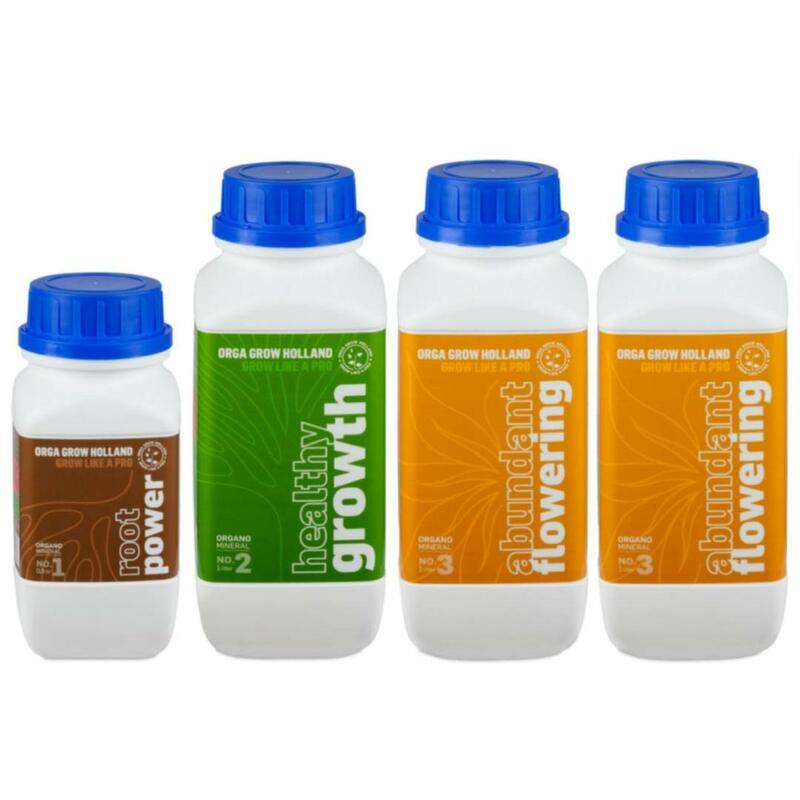 N-P-K FERTILIZER COMPONENTS: There are numerous building blocks of life that plants need for healthy and optimum growth. Without these nutrients, plants cannot grow to their full potential, will provide lower yields, and be more susceptible to disease. The three most important nutrients, without any one of which plants could not survive, are referred to as the primary macronutrients: Nitrogen (N), Phosphorus (P) and Potassium (K). This is the phase after the seeds / cuttings have rooted and the leaves are starting to develop. A significant amount of energy is directed to root growth. The plant needs OGH1, while OGH2 and OGH3 provide in basic needs. Gradually, the plant will start developing stronger. The plant is growing faster now, developing new side branches. The roots are well developed now and you can stop giving OGH1. Use both OGH2 and OGH3 in the same quantity during this phase. The growing phase continues until the first signs of flowering. The plant enters the early flowering phase. As soon as the first signs of flowering are visible, the plant requires more OGH3. Gradually, add more OGH3 than OGH2. During this phase, the plant is still continuing to grow. In combination with the flowering phase starting, the plant needs more nutrients. The quantity of nutrients is gradually increased during this period. The plant is now in full bloom and needs OHG3. OGH3 enables abundant flowering, maximising the plant’s potential. During the flush period, stop giving the plant nutrients in the feed water. The flush period is intended to ensure that the minerals and other nutrients are absorbed into the fruit as much as possible. This enhances the flavour and structure of the finished product. Flush during 1 or 2 weeks before harvesting. If the leaf shows yellow spots between the veins, it has a nutrient deficit. Give nutrients in the feed water several times per week. If the ends of the leaves turn brown and yellow, this means the leaf is ‘burnt’ due to an excess of nutrients. Stop adding nutrients to the water for a few days. If the leaves come up and have a boat shape, the plant is too hot. 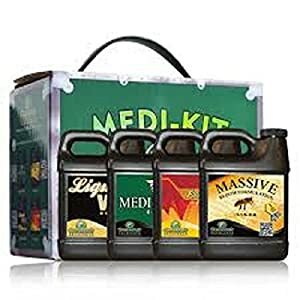 ORGA GROW HOLLAND STARTERS KIT INCLUDED EBOOK; Orga Grow Holland consist of three highly concentrated liquid nutrients. OGH 1 Root Power 16 oz Bottle ; A powerful root stimulator which encourages the generation of roots. 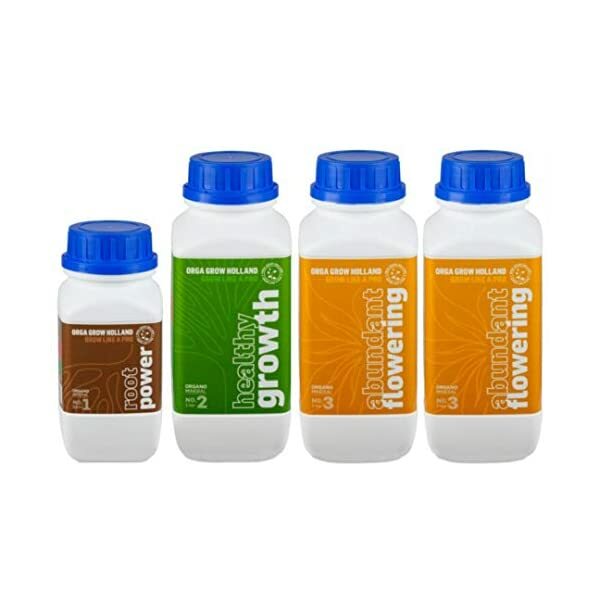 OGH 2 Healthy Growth 32 oz Bottle; A growth simulator which produces more and higher quality yields. 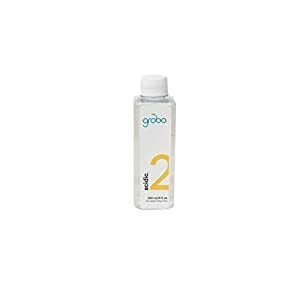 OGH 3 Abundant Flowering 2 x 32 oz Bottle ; Guarantees the abundant production of flowers and fruit. Use them in sequence for brilliant blooms and luscious fruit all season long. 100% SATISFACTION GUARANTEED; Orga Grow Holland stands behind the superior quality of his formulas and products and wants you to be 100% satisfied with your purchase. In fact, we have one of the industry’s `most generous guarantees so you can be sure this product is right for you. If for any reason a product does not meet your expectations, simply return it within 90 days for a full refund of the purchase price.